Watch the "Safe Ground" campaign video! Watch the UN Global Advocate's message for the International Mine Awareness Day 2019. 22nd Meeting of Mine Action National Directors and United Nations Advisers (NDM-UN) took place from Tuesday 5 to Friday 8 February 2019 at the Palais des Nations in Geneva, Switzerland. 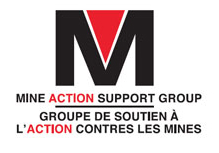 Welcome to E-MINE - the on-line hub for UN system-wide engagement in mine action. E-MINE is the singular source of information related to the United Nations system engagement on mine action issues. Managed by UNMAS, this site collates mine action related information with the aim to raise public awareness of the impact mines, explosive remnants of war, and improvised explosive devices have on individuals and communities as well as of the coordinated responses of the United Nations to this problem. Mine action has evolved as a sector over the two decades. On these pages, you can read about the critical role mine action plays in relation to ensuring humanitarian assistance, reinforcing peace and security, and acting as a catalyst for sustainable development. These pages also detail United Nations positions and policies related to mine action, including the multi-year United Nations Strategy on Mine Action and regular reports on the impact of its interventions at global level and support at country level. You will also find information related to key normative frameworks and relevant provisions of international humanitarian law that guide States and inform United Nations support. “An unprecedented volume of landmines and unexploded weapons contaminates rural and urban war zones, maiming and killing innocent civilians long after conflict has ended. Roads cleared of explosive devices enable peacekeepers to patrol and protect civilians. And when fields are cleared and schools and hospitals are made safe, normal life can resume. I urge all Governments to provide political and financial support to enable mine action work to continue, wherever it is needed.